One of the first things to consider is how you are going to access your loft. 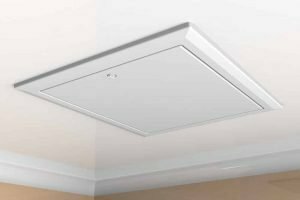 Most new-build homes have a similar design of insulated loft hatch already installed. Although this hatch may be suitable as-is for the simple addition of a ladder, you may wish to consider either extending your hatch to accommodate a more attractive wooden ladder, or even changing the location of your hatch to somewhere more suitable for the layout of your model railway you have in mind. You may even do both. Moving a hatch in most cases is easily done, but does require some plastering and decorating work so might be a job best left for the professionals. the space the ladder moves through to get from one position to the other. 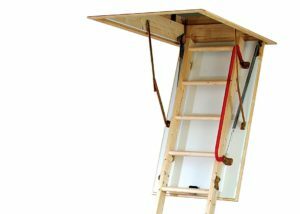 Although the Youngman Eco S Line Timber Loft Ladder and Hatch takes up a larger hatch area than a Werner ABRU 3 section Loft Ladder, the Timber ladder fits completely within its own hatch footprint when stowed whereas the Werner rests on the floor of your loft beside the hatch taking up valuable space. Besides the floor area, a sliding ladder like the Werner has to move through a large arc inside the loft when being put away, potentially limiting your choice of hatch location due to truss members in your loft. For more advice on making sure your loft ladder is a guaranteed fit, check out our guide here. Finally, you will want to think about the aesthetic and ergonomic element of your ladder. A wooden loft ladder made from natural spruce is (arguably) much more attractive than an aluminium one and has nice wide treads for foot comfort. Our wooden ladders are guaranteed for 10 years when professionally fitted by us. Modern roof trusses are not generally designed to accommodate a habitable space. They are, however, designed for occasional storage - to be precise, 25kg/m2 static loading plus 180kg/m2 dynamic loading (basically a person walking around). 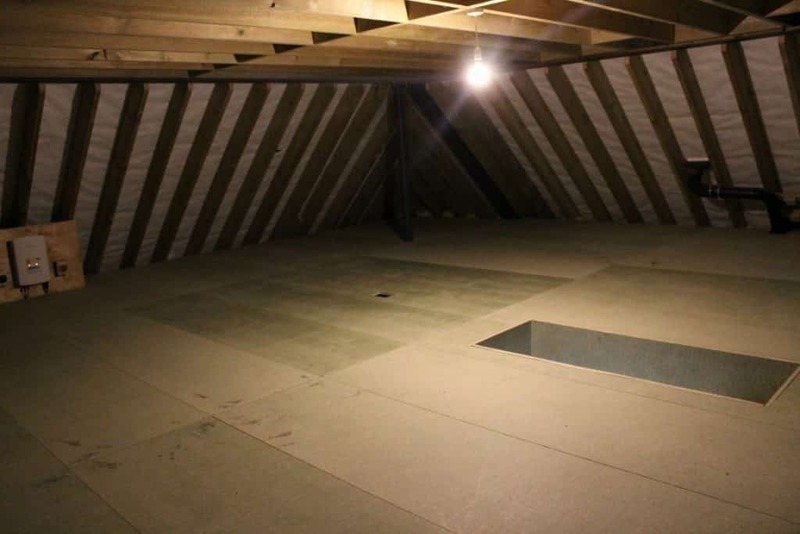 LoftZone StoreFloor can comfortably exceed this, and has been tested up to 500kg/m2 - way more than you would reasonably want to store in your loft. You can find full technical details of the BBA-approved LoftZone product here. In all likelihood your loft floor will be able to accommodate more than 25kg/m2 but you would need to have a survey done by a structural engineer to confirm. 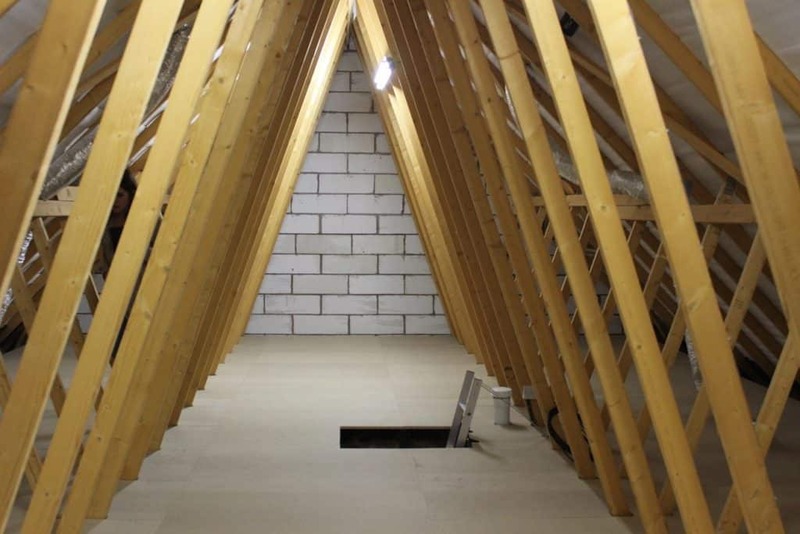 LoftZone can be fitted around the existing vertical truss webs without need for any alteration to your timbers, however, replacement of the truss members with a more open plan layout by an experienced loft conversion company would also be an option. The biggest problem you may face when setting up your loft layout is temperature. With insulation only underneath your raised floor, your loft space may suffer scorching heat in the summer and freezing temperatures in winter. You may wish to insulate your pitched roof itself with rigid insulation sheets, such as Kingspan Thermapitch TP10. "any work associated with thermal insulating material to or within a wall, ceiling, roof or floor"
does not require a warrant (with the exception of applying insulation to the outer surface of an external wall which does require one - not that you are likely to be doing that). Once you have a sound floor and suitable insulation, the next thing to consider is ventilation. By far the most effective method is to install a Velux window - providing both ventilation and natural light. A second window on an adjacent or opposite wall can provide a refreshing through-draft and further natural light. Including the fitted blinds recessed into the windows is a good idea for controlling any direct sunlight that might cause uncomfortable heat or glare. With all those locomotives running around, you are going to need at least a couple of sockets available, and plenty of light for all those fiddly tasks when setting up your layout. A single pendant bulb simply won't cut it. Not only do they not provide enough light in terms of lumens, their small size of light source casts harsh shadows in all directions. To provide a much more even light across all nooks and crannies of your layout without harsh shadows you need as large a surface area of light source as possible. This is where strip lights come in handy. There are now bright, low-wattage LED bulbs available to replace their energy-sapping fluorescent ancestors in 4ft to 6ft lengths. You can even choose the colour temperature of the bulb - whether you'd like a cool daylight or a warm white. Planning permission and building regulations are not the same thing. You may require planning permission, and you may require a warrant for inspectors to ensure compliance with building regulations. The Scottish Government provides guidance on Permitted Development. Applying for planning permission can be a lengthy process but, thankfully, many small alterations fall into the category of 'Permitted Development' - work which doesn't require permission. Generally speaking, unless you are altering the roof by adding a dormer window extension or balcony then you won't require permission, so long as you keep any alterations to within a 1m space 'bubble' surrounding the roof in Scotland (150mm in England and Wales). Even if planning permission is not required, you may still need to apply for a Building Warrant. Read on. According to the Building (Scotland) Act 2003, it is the duty of the owner to ensure compliance with building regulations, and a building warrant must be obtained before any work commences. Thankfully, there are a number of exceptions which are outlined in the regulations which do not require a warrant (regulation 5 and section 3). Regulation 4 defines the types of changes in occupation or use of a building that will cause regulations to apply. A Type 2 change is one in which a building ancillary to a dwelling is changed to increase the area of human occupation. A loft conversion would fit into this category, but boarding a loft for storage does not. It's up to you to make sure you are aware of your local planning authority's policies and guidance documents. You don't want to end up having to undo all your hard work like Robert Burdock in Devon. Hornby's advice on building a model railway. 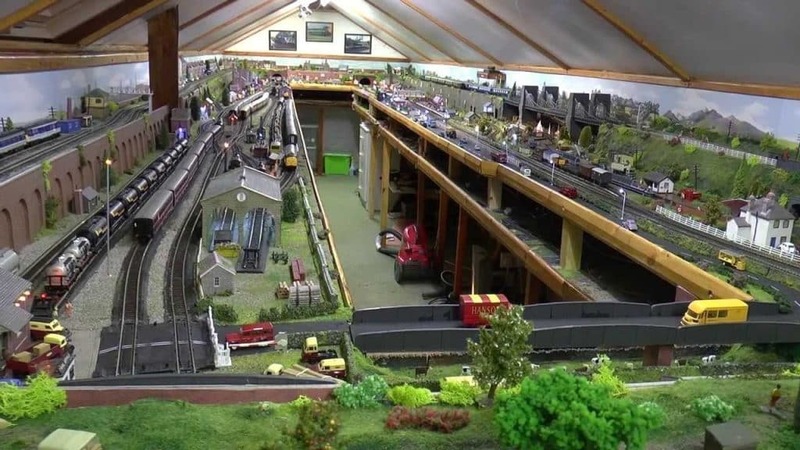 A comprehensive guide by the Yeovil Model Railway Group for preparing your loft.